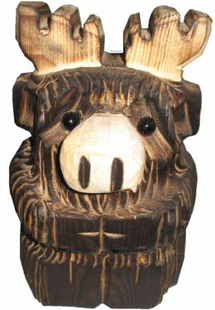 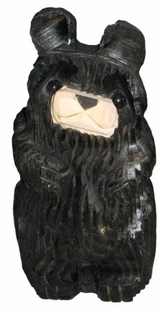 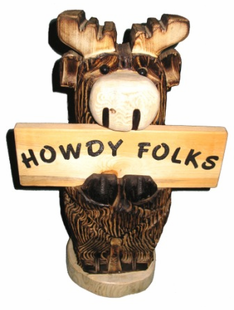 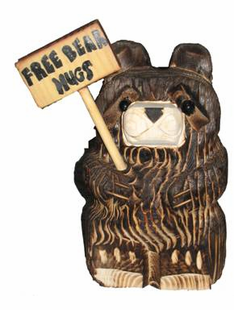 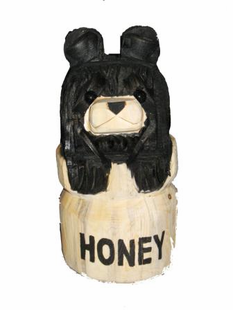 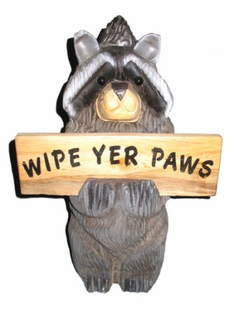 The Burly Bear’s selection of bear carvings are made of real wood by real chainsaw artists. 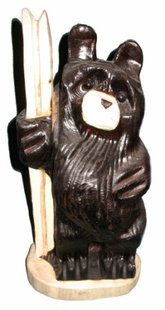 We work with several artists in Pinetop, Arizona who create the many bear statues you see below. 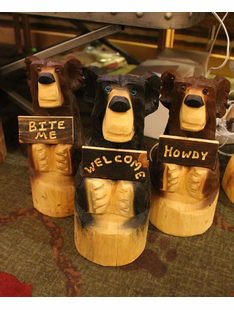 From hiking black bears to bears in honey pots, our collection is packed with plenty of adorable bears and other animals to welcome guests or add some rustic charm to your home. 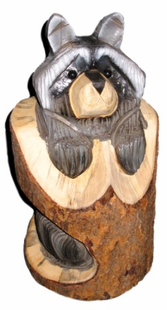 Chainsaw art is a staple for log cabin décor so get your paws on these great pieces of art before they are gone! 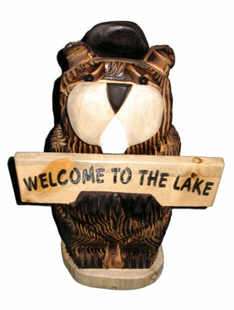 Our retail location is stocked with chainsaw carved bears that are ready for immediate shipment after your purchase. 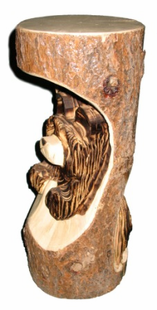 We also work with customers on custom pieces to match your business or home’s needs. 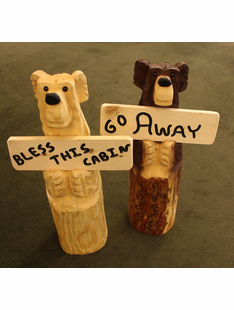 Our artists are ready to carve your custom work of art, big or small! 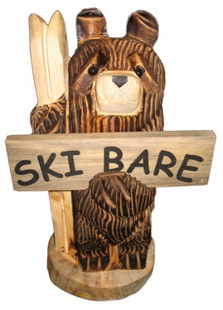 For custom chainsaw carvings, please call us at 928-367-2327 or email your inquiries to info@theburlybear.com.